Sound Touch Interactive, an emerging new mobile software and applications developer in Vancouver, has announced the release of Music Color 1.1 for the iPhone, iPad, and iPod touch. 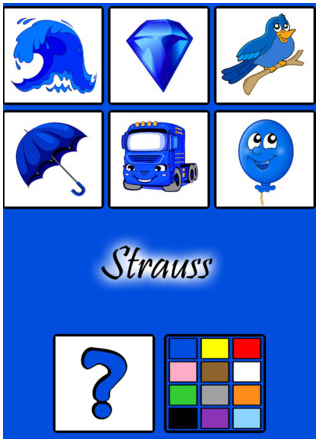 A revolutionary learning utility geared towards young kids and designed by parents, this unique app uses a wealth of classical music to teach users every color of the spectrum with effective and entertaining touch based activities. Music Color divides the music of twelve legendary classical composers, integrating the sounds of each composer uniquely with a different color. Recently updated to add compatibility with twenty different languages, Music Color version 1.1 is currently available for download on the Apple App Store for $2.99 in the Entertainment category. This app isn’t a simple gimmick, introducing toddlers to identify diverse colors via 360 equally diverse HD images of real life objects such as plants, vehicles, animals, and more. Living up to its name, Music Color also engrosses young users into the vibrant world of classical music by dividing twelve iconic composers’ pieces by color. Once users tap on a color or colored illustration a different composer will play, at once encouraging their visual and musical development. Featured composers include everyone from Bach and Strauss, to Brahms, Mozart, and more! Since Music Color was specifically designed by parents to be as accessible and straightforward as possible for toddler aged users to use. The app eschews complex swipe based navigation for simple taps. In fact, the app jumps into full gear the second users open it. There’s no start menu, and users start experiencing the breathtaking melodies of the great composers, discovering the joy of everyday colors, and having a blast instantly. With Music Color, there’s always enough changing music and unique color categories filled with diverse items to discover, guaranteeing that kids always have more to love and learn about! This entry was posted on Friday, February 17th, 2012 at 5:48 am and is filed under Early Childhood, Educational, Mobile, Music, National News, New Releases. You can follow any responses to this entry through the RSS 2.0 feed. You can leave a response, or trackback from your own site.